Here is our New Year's Employment Issues alert for 2018. Happy New Year! On May 17, 2016, the Department of Labor Issued its Final Rule on Overtime. It doubles the salary basis threshold, leaves the duties test unchanged, increases the highly compensated employee threshold and is effective December 1, 2016. SHRM's analysis of the new regulation can be found here. Take a look at NWK's New Year's Resolutions! You don't want to miss them. New pay transparency requirements for government contractors becomes effective January 1, 2016. Read NWK's client alert about it here - Client Advisory on Pay Transparency. The U.S. Department of Labor has issued proposed regulations increasing the salary threshold for employees who are exempt from overtime requirements. 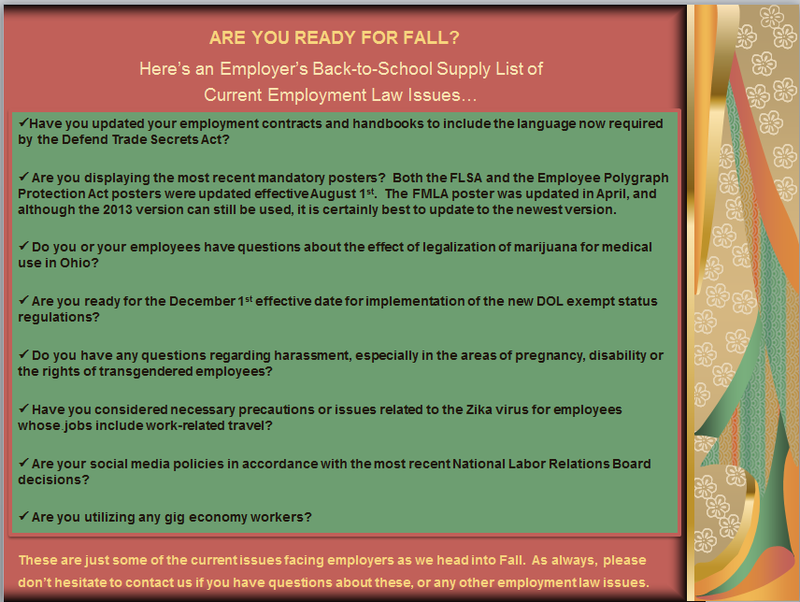 NWK's alert is here - FLSA Salary Increase Alert.